Regular maintenance of propulsion shafts and propellers requires shafts to be aligned and locked in place so that ships’ engineers can perform the needed work. A Turning, Locking & Braking (TLB) System from Twiflex Ltd. provides a compact solution to allow the shaft position to be set and locked when the vessel is stationary. The Twiflex TLB consolidates three usually separate interfaces and functions into one design package. The modular TLB system is configured to allow customers to select and install one of the turning, locking and braking functions individually or choose paired or complete turning, locking and braking functionality depending on project requirements. The superior continuous turning design of the Twiflex TLB system delivers superior bi-directional performance with an option of variable-speed turning, infinite positioning, a balanced load profile and quicker stopping. 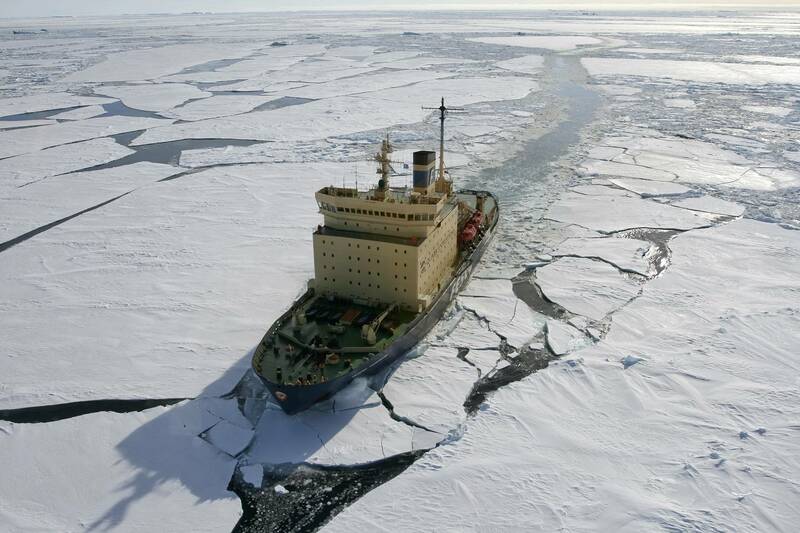 The system was originally commissioned by a propulsion system manufacturer for a next generation, icebreaking vessel. The manufacturer wanted a solution which could be easily operated to perform multiple functions. Twiflex Ltd. was approached because of its extensive experience providing braking systems for marine applications. Twiflex engineers designed and delivered the complete package so that it could be quickly integrated with the rest of the drive train. Commenting on the scope of the project, Steve Powell, Product Manager, explained, "The project presented several interesting challenges, namely delivering the turning, braking and locking functions within a single system that would meet the footprint given. Twiflex had to ensure that all components specified for the project were suitable for the marine environment whilst offering a system that could easily be installed and operated in the available space. "A customized hydraulic power pack and local control panel was also designed as part of the package. One of our biggest achievements was demonstrating our ability to design, manufacture and supply the equipment in a very short timescale and to cost which ensured we won the order over other more established competitors in this field"
The Twiflex TLB-180 includes a split disc with gear tooth profile which is mounted onto a customer supplied flange, making the need to disassemble the propulsion shaft unnecessary. An integrated motor driven geared pinion (Turning Gear) engages with this disc to provide up to 140 kNm turning torque at 0.6 rpm in either direction. 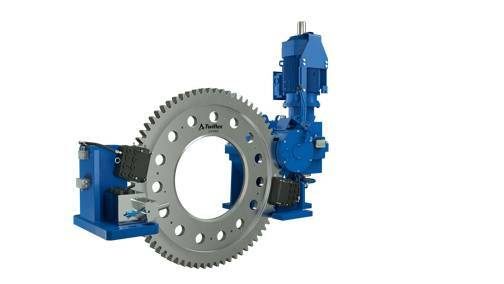 Two direct, hydraulically applied, spring released caliper brakes acting on the disc provide 180 kNm braking torque and along with a manual locking device, can be used to hold the propulsion shaft. When the icebreaker comes into port and is stationary the bridge control sends a command signal 'brakes apply' to engage the brakes and hold the shaft. If maintenance is planned, a signal from the bridge 'permit local control' is generated and, providing all the safety interlocks have been satisfied, the caliper brakes and turning gear can then be operated from the local control panel. Once in this mode brakes are released (brakes off) and the turning gear can be engaged with the gear teeth on the disc by using the manual clutch plus the hand wheel at the base of the gearbox to align the teeth. The propulsion shaft is then rotated in either direction using the controls on the local panel. When in position the caliper brakes are reapplied and the manual locking device used to securely hold the shaft. A series of limit switches and sensors fitted to the TLB are provided as part of the overall control system which can be monitored by the bridge. In addition to providing a maintenance function, the TLB can be operated from the bridge to stop and lock the shaft using the caliper brakes when the vessel is moored in a flow stream or current. During lengthy stays in port the turning gear can be used in local control mode to occasionally rotate the shaft, keeping the propeller free from marine growth. Powell said, "As part of Altra Industrial Motion, Twiflex has access to a global supply and support network of some of the world's leading power transmission brands. This put us in the perfect position to be able to call on the expertise of the group to deliver the complete solution. "It was quickly apparent that the system would have a wide appeal to the marine and offshore industries, so we have developed the design into a range of systems for different applications." The Twiflex TLB is now available with turning torques up to 454 kNm, braking torques up to 862 kNm and a variety of turning speeds. The complete system is supplied with brakes, actuation and locking devices, controls and hydraulics and will be delivered as an engineered product, built in-house to meet specific application requirements.